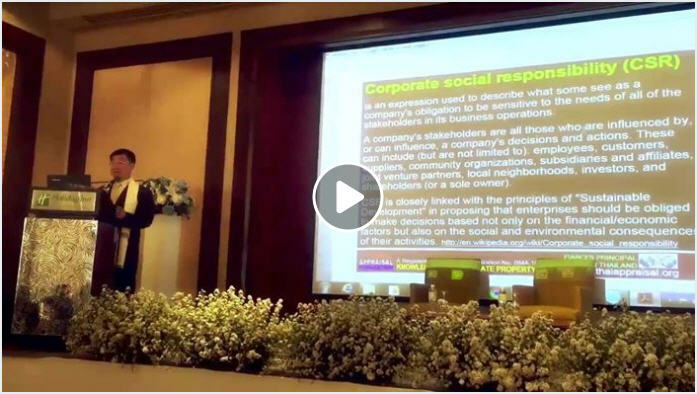 On Wednesday, Dr.Sopon Pornchokchai, President, Agency for Real Estate Affairs was invited by Mr.Pornthep SriNarula of the PaulNarula Academy to deliver a speech at the International NGO & CSR Summit - 2018 at the Holiday Inn, Silom Bangkok. The following is his brief speech. Dr.Sopon has been teaching CSR or Corporate Social Responsibility at graduate levels in many leading institutions. He also write books and articles on this matter as well.